RICHMOND, Va. — A local restaurateur has fired up his third location in the city. 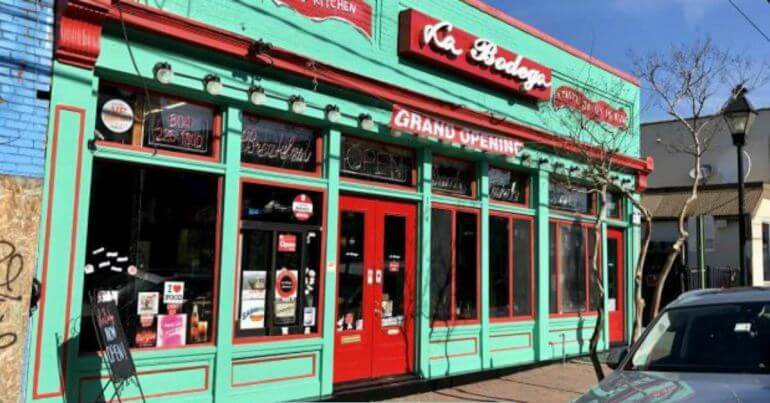 Carlos Londoño’s La Bodega opened for business March 12 in the former Luncheonette spot at 104 N. 18th St.
Nicole Monet Long girls lunch? By the way, this is the point I’m trying to make about our “comments” here at CHPN. When we import them from Facebook this is what it could look like! Frankie Ilog they are on uber eats ? The address is wrong in the article. It’s N 18th, not E. 18th. The address is incorrect. It’s on N. 18th, not E. 18th. Franklin Obregon new restaurant for April?? Jessica Bissinger Patty Keneagy next lunch ?? @K Agreed! Just did it to showcase something, we’re gonna stop importing them now. Popped in for lunch. Definitely delish! ? OMG!!!! Although honestly, I will NOT want to eat Dominican food once I am back in the US haha. Wow, what a change in venue (menu). I guess an old fashioned “diner” in Church Hill is not viable? It seems to work in Short Pump and of course, the 3rd Street Diner. Why do they survive in the outskirts but not in Church Hill? I like the simple homestyle food grandmother used to make with large portions at a low cost – all made from scratch. I grew up on it. (I know…The Metro Diner is not cheap but you get my point).